As a chiropractor, Dr. Kyle is trained to locate misalignments that affect the way your brain and body function. When your body isn’t in alignment, degeneration begins to set in. Often, you’ll feel pain or notice that something isn’t quite working like it used to. If there is pressure being put on your nervous system by the misalignment, we can identify it and work to correct it. Many common health concerns are caused by improper alignment. We examine your body and nervous system to determine what will help you heal. You can think of your spine like a car that needs proper alignment to prevent wear and tear. The first signal of health issues is often pain, and it indicates that something isn’t functioning as intended. We can evaluate your body to determine the source and prevent future problems from developing. We’ll evaluate your overall health with the use of the advanced Insight™ Subluxation Station. The scans take into account the stress on your nervous system and your heart’s response to stress. From the scans, you’ll get an overall score of your level of health, which we can use to monitor changes and improvement as you progress through care. 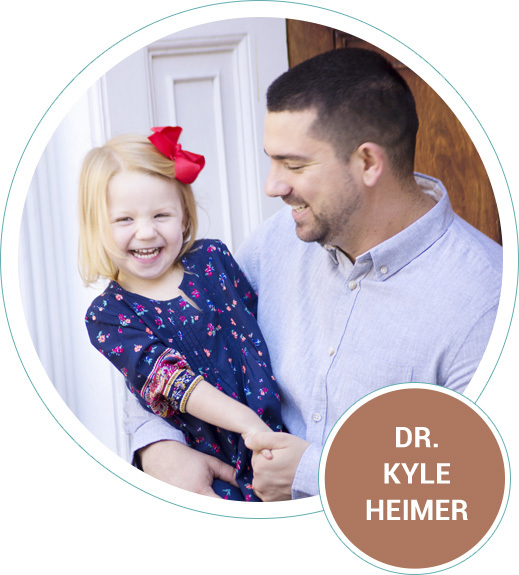 Dr. Kyle performs a comprehensive examination process to determine the best way to help you. This approach ensures that we give you only the care you need — nothing less, and nothing more. You’ll receive full, clear explanations of the adjustment before we start, always making sure you’re comfortable before we proceed. We’ll personalize our technique to you, with methods such as Diversified, Gonstead, Chiropractic BioPhysics® and Pettibon available. We also have a Thompson Drop Table that reduces the stress placed on your body. Discover the benefits of chiropractic care. Contact Foundation Family Chiropractic in Summerville today for more information! Same-day appointments are available.